Pioneers, flagbearers or whatever you choose to call them, Slam are one of the most influential acts in modern electronic music. Their seminal Positive Education, involvement with the brilliant Soma label and longstanding Pressure night have made them a force to be reckoned with but its their consistently evolving output and DJ sets that puts them head and shoulders above the rest. Its with their history and no small amount of mutual admiration in mind that Beyer has invited the duo of Orde Meikle and Stuart McMillan on this formidable imprint and the result is not to be missed. 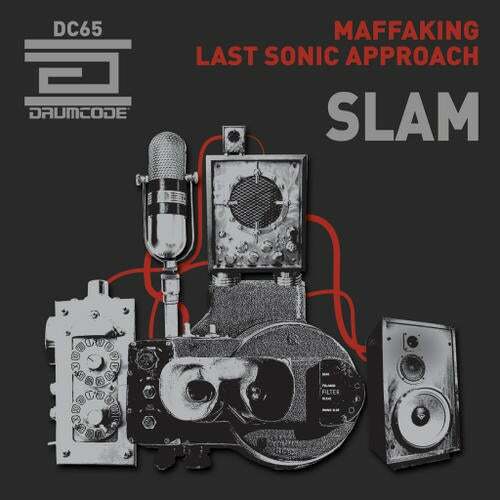 Maffaking and its b-side companion Last Sonic Approach are the sort of uncompromising dancefloor techno that Drumcode is all about with both tracks treading a visceral yet hypnotic path. Whether its the effect-laden discordant synths and panic inducing builds of Maffaking or the subtle melodic infectiousness of Last Sonic Approach, this is an EP of fine contemporary techno from some of its true innovators.